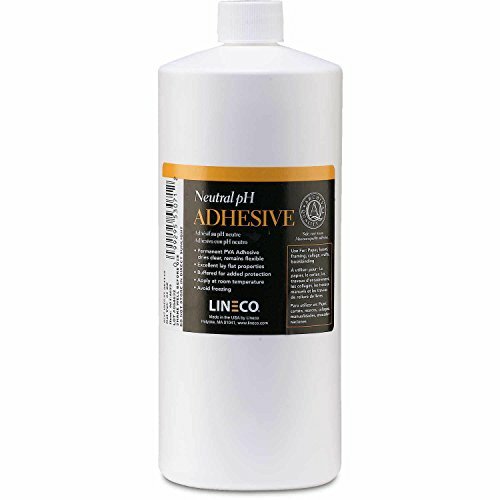 Lineco Archival Adhesive is acid-free with an excellent lay-flat property. Clear when dry easy to use polyvinyl formula is fast-setting re-moistenable with water and reversible. Formulated specifically for preservation materials and will not become brittle with age. Adheres to most pourous surfaces. Will not adhere to glass metal or plastics.